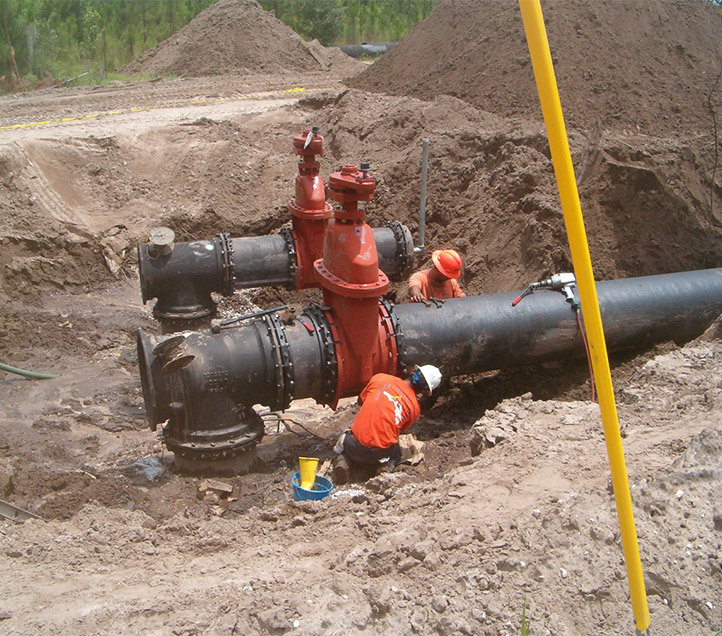 RS&H designed and provided construction management services for the installation of a large diameter loop water transmission line in western Jacksonville, Florida. 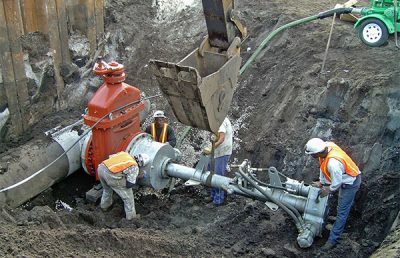 Population expansion in the area placed increasing demand on the local water system, requiring JEA to install the loop to resolve pressure and water quantity flow problems. 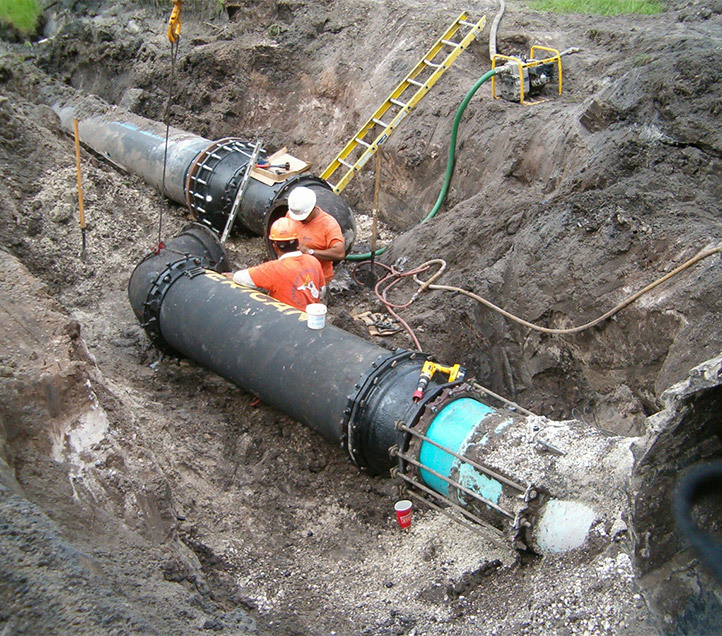 The project consisted of 13,075 linear feet of 20-inch diameter pipe and 8,269 linear feet of 24-inch diameter pipe. 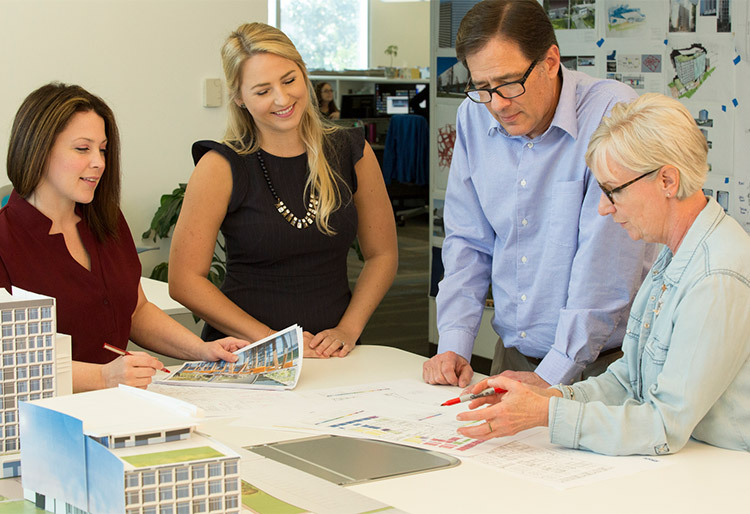 RS&H provided project management, design, construction management and inspection, Global Positioning System (GPS) data collection, as-built drawings and geographic information systems (GIS) mapping services. 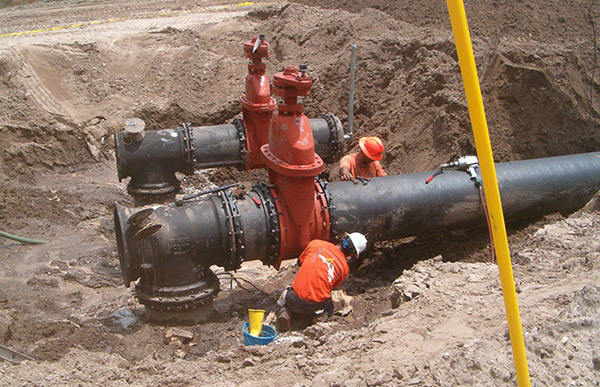 The line was installed under an aggressive schedule and was successfully completed in four months. Installation of the line included numerous challenges and required coordination with various agencies because of its location. The route crossed onto Federal Aviation Administration (FAA) property, requiring coordination with both the FAA and contractor to address security concerns, as well as the schedule and timing of construction. 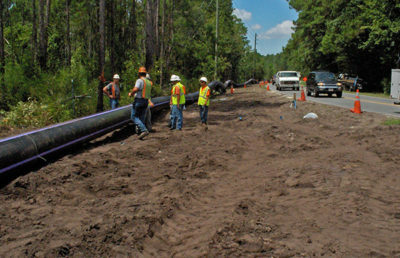 The water transmission line also crossed the recently constructed Branan Field-Chaffee Road. 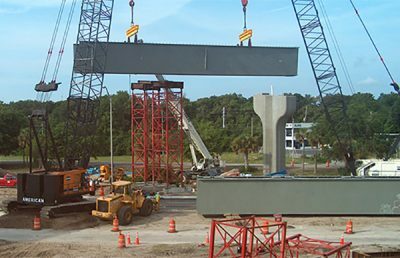 Due to the newness of the road, the Florida Department of Transportation would not allow installation of the line using the open-cut method. 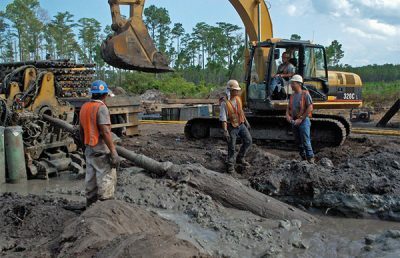 Instead, the team installed over one mile of 24-inch pipe using the Horizontal Directional Drilling (HDD) method beginning on FAA property and ending within a JEA electric transmission easement. 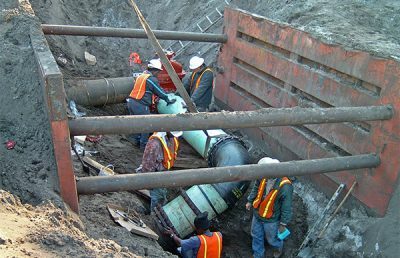 The distance from the roadway to the top of the drilled pipe was more than 24 feet. 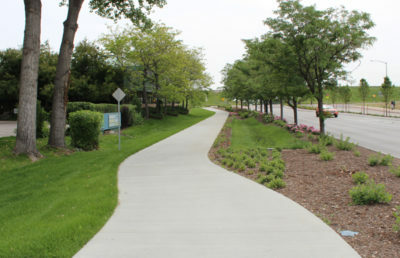 The only available route in the southern portion of the project crossed a deep retaining pond, posing another interesting dilemma for the design team. The team opted for an additional HDD installation and performed soil borings and analysis to ensure clearing the bottom of the pond, which was necessary to avoid the existing soil or pond from collapsing into the drilling tunnel.